The Chamber Scholarship provides financial assistance each year to Arlington students graduating high school and going on to pursue higher education. The fund was renamed in 2014 as the Rich Doud Arlington Chamber of Commerce Scholarship. ​Two $2,000 scholarships are awarded annually, and funding is provided through the generosity of Chamber members through donations. 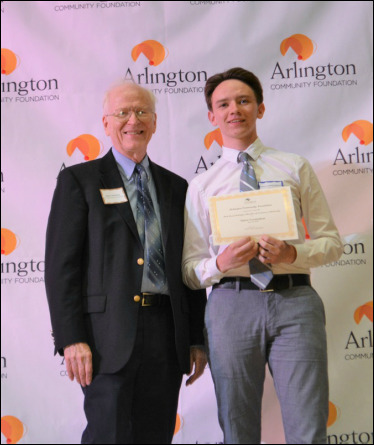 Scholarships are awarded to high school seniors, who are Arlington residents, have at least a 2.8 GPA, and demonstrate student and community leadership, to attend an accredited postsecondary institution. Applications are processed by the Arlington Community Foundation. To donate to the Fund, please contact Olivia McKay at chamber@arlingtonchamber.org or (703) 525-2400.